Following the Brexit vote there has been a degree of confusion as to who will or will not need a student visa to study in the UK. As far as education goes, there is little room to leave things to chance and it is much better to ensure that all the boxes have been ticked before you arrive, rather than to take any unnecessary risks. Here we look at how to get a UK student visa. UK visa requirements and overall immigration matters are governed by UK Visas and Immigration. With eligibility and requirements dependant on your nationality and other factors, we recommend you use their online facility to check if you need a visa. Alternatively, you can contact our friendly visa team. There are differing types of visa, and each may or may not apply to your course. If you are over 18 years of age and studying a short-term course then you may qualify for the short-term visa. This is valid for courses up to 6 months but may be extended to 11 months for English language course. Longer courses are different. Firstly you need to ensure that the place at which you are studying holds the correct licence. It will need a tier 4 licence. If you are aged 4-17 you may need a Tier 4 child licence; If you are older than 16 you may need a Tier 4 general licence. Proof of English language skills, satisfied by taking the SELT (Secure English Language Test). However, students from English-speaking countries like the USA will not need this proof, likewise if you have a previous degree from an English-speaking country. Proof of Financial support – this can be from a sponsor, or bank showing you can meet the fees, accommodation and living costs. Outside of London this constitutes £1,015 per month and in London £1,265. You may need to produce evidence of your qualifications, attend an interview and even pass a biometric test, and, depending on your country of origin, show proof of vaccinations/test for TB. Under 18 needs proof of consent from your parents/guardian. You will need the Tier 4 visa as above. Currently the Tier 4 runs at £328 with an additional £328 per dependent. A healthcare surcharge of £150 per year is payable in addition. A 6-month student visa is £89 and an 11-month student visa is £170. Your passport will be stamped setting out the duration of your stay. You are not permitted to stay beyond this period, which will exceed the total length of the course. Some will need to register with the police. This must be done within 7 days of arrival. You may need permission to work if you are from Croatia or outside the EU. If you are on a Tier 4 visa, you may work up to 20 hours per week during term time and full time at Easter/Christmas – though 16 and 17 year-olds have a restriction of 10 hours. It would be simple if there were standardised rules for all students looking to study in the UK, but that simply isn’t the case. You need to ensure that you check and satisfy all of the criteria before you commit to a course. If you’d like a consultation regarding your eligibility and the process required for obtaining a student visa, you can email our visa team for a free assessment here. This entry was posted in Immigration on 14 September 2017 by admin. Since the EU referendum in 2016 there has been a lot of hysteria, media outrage and panic. EAA nationals have been caught in the crossfire of politicians and voters with their livelihoods used as bargaining chips. Due to the uncertainty and instability it is sensible advice for any EEA national and their family members to secure a document certifying their permanent residence. By obtaining Permanent Residence, an EEA national will guarantee their long-term rights in the UK and only be one step away from British Citizenship. In previous years, EEA nationals could apply direct for British citizenship after 6 years of exercising treaty rights, but rule changes in recent years have required proof of EEA PR first. Like many tasks in life, people can do these themselves. Many people file their own taxes, fix their plumbing problems or repair their car. For many others, they understand that seeking help from an accountant, a plumber or a mechanic is the right thing to do. This avoids costly mistakes down the line. It may appear that by doing these tasks an individual can save themselves money, but it’s when it all goes wrong the problem quickly escalates. Would you want to install faulty brakes on your car and find you can’t stop on the motorway? The same reason applies to seeking legal advice. You will receive help from a professional who is experienced and knowledgeable. With immigration, the stakes are higher. Mistakes can mean losing jobs, families being separated and having to leave the UK. What if I’ve already been refused an EEA application? Previous refusals don’t mean you don’t qualify. It only means that you need to address any short fall in documents, procedures or wait until you meet the specific criteria. Immigration lawyers can always explain a refusal and help you work through any problems with your application. A prior refusal does not mean that you will have a black mark or problem with further applications. 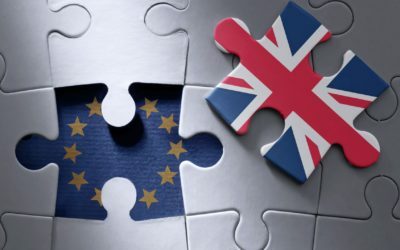 What help can I receive if I’m an EEA citizen in the UK? If you are considering making your status in the UK permanent, the best option is to apply for EEA Permanent Residence. This is typically achieved through exercising treaty rights in the UK for 5 years, with the most common form being through work. Immigration advice would ensure that you are eligible to apply, you understand all the procedures and steps involved and what documents are suitable to prove you meet the requirements. Often, the minor details and specifics are what cause applicants’ problems. By having your documents assessed and your forms completed by a competent UK Immigration Advisor you will have peace of mind knowing that your application will be filed correctly. Waiting times vary for EEA PR applications to be approved by the home office. Currently estimates are 3-6 months. Due to the lengthy time it takes to process and the uncertainly that lies ahead, it’s best to ensure you obtain your EEA PR certificate the first time around. EEA nationals can’t avail of the premium service centre same day route for these types of applications, leaving the only option to mail the application. If you want to ensure smooth sailing with your immigration matters, it’s best to seek expert legal advice. This entry was posted in Immigration on 20 March 2017 by admin. What happens to EU citizens in the UK if we leave the EU? A referendum on the so-called ‘Brexit’, the UK leaving the EU is looming. It’s clear that should Britain decide to leave the union there will be some pretty significant changes. Whether these changes will be for better or for worse is open to debate, but it is certain that for the many EU nationals living in the UK, a referendum in favour of the Brexit will have implications. Currently citizens of EU member states are afforded the luxury of freedom of movement, which is one of the fundamental principles of the union. As a citizen of the union you can live, work and settle wherever you please; for those from the EU living in the UK already, there is uncertainty about what a UK vote to leave would mean. So far there isn’t a confirmed date for the referendum; all that is certain is that it will not take place on 5th May 2016, the day when elections for the devolution of the Scottish, Norther Irish and Welsh parliaments will take place. David Cameron has pledged that the referendum will go ahead before the end of 2017. A recent BBC News article discusses potential dates for the vote to happen. Should the UK leave the union, then the hundreds of thousands of people from EU member states who’ve settled and made their homes in Britain may find themselves displaced. Current UK Immigration Law would need to be updated quickly to stipulate the visa requirements for people from EU member states. Conversely, a similar situation for UK nationals who’ve made their home on the continent who may, in the event of the UK leaving the EU, find themselves classified as illegal immigrants. There has been some speculation in the press that allowances would likely put in place that were favourable to citizens from affluent member states such as France and Germany, whilst those from poorer economies like Romania may be faced with more demanding requirements. Although the EU referendum has been widely discussed, particularly in the run to the 2015 election, very few column inches have touched upon the effect that a UK-exit would have upon EU citizens who already call the UK home. Carter Law’s team of specialist immigration solicitors in Manchester are paying close attention to this situation and preparing for an eventuality where a number of people already living in the UK will need assistance quickly acquiring visas. We hope that as the referendum draws nearer more thought will be given to what this will mean for those EU citizens who live in the UK and UK Immigration Law. This entry was posted in Immigration on 18 June 2015 by admin.